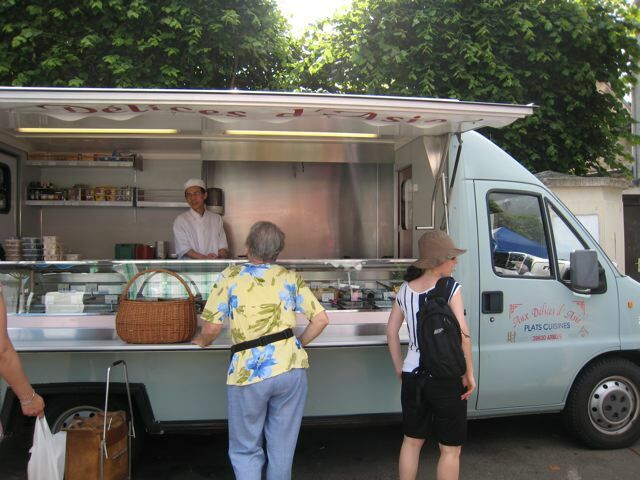 David Sax of deli fame sent me a photo of a Chinese food truck he stumbled upon in France! So there I was in a small town in the French countryside last Friday, picking up all sorts of cheeses, breads, and meats at a farmer’s market in the central square, when I came upon the following sight. “Delices d’Asie” was the truck below, filled in the most gorgeous way with various artesenal dim sum dishes and stir fries, all being sold to the locals. 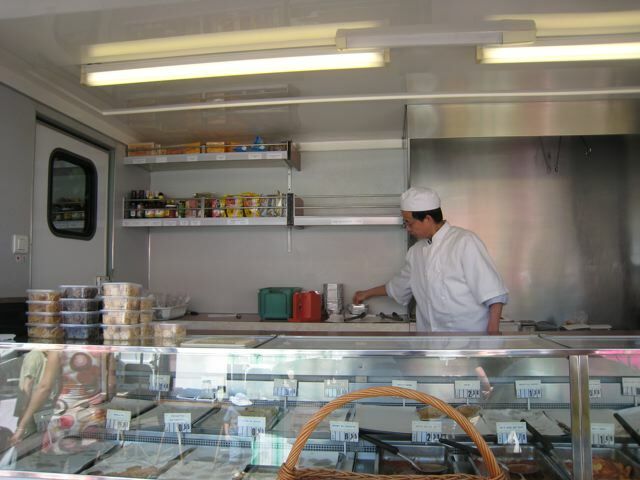 There were shrimp toasts and har gao that looked like French pastries, arranged in military precision behind the glass. But the man detested journalists (apparently someone had written something bad about him once), and when I asked him a few questions, he just shooed me away. Still, I snagged these pics for you. Why I love French Chinese food. They have salt and pepper frog legs! But this picture reminds me of the famed Chinese Food Truck from my college days (this web page hasn’t been updated in almost 10 years).Â The truck used to be behind the Science Center, and during intro computer science class, Margo Seltzer demonstrated the computer command ping to us, and it travelled through cft.harvard.edu (or something like that). She joked that people always said that “cft “stood for Chinese Food Truck (which made us all laugh). But in reality it was short for Cruft Laboratory/Hall.